We take pride in playing a vital role in your oral health care. Dr Rob Sivertsen will advise and assist you in achieving and maintaining optimal oral health. We have extensive knowledge in oral health care, including treatment and prevention of gingivitis and periodontitis (gum disease) a leading cause of adult tooth loss. We are here to help you keep your teeth and gums healthy. Organising a regular appointment schedule with us is easy. It’s part of our preventive care system. Poor dental health can impact on your overall health and wellbeing, so it’s incredibly important to schedule regular visits to see Dr Sivertsen. A thorough examination of your teeth and gums is performed to assess your full oral health status, including diseases or other abnormalities or lesions, which could indicate mouth cancer. 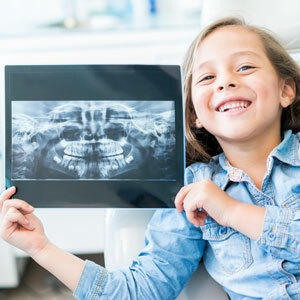 Radiographs are taken when advisable (usually every second year) and cavity-preventing agents such as fluoride and fissure sealants are applied. After the examination, Rob will usually do a scale and polish to remove the build-up of soft and hard deposits such as calculus (tartar) from your teeth and below your gum-line, and can advise you on how to practice good oral hygiene, and provide other preventive dental care for you and your family, including children. We can also advise you on topics such as dental hygiene and diet, what toothbrush you should be using, how you can help your children establish good dental routines, and any other related matter you wish to discuss. Our brushing and flossing videos are a great place to start on your journey of improved dental care at home. Keep on top of your oral health by attending regular check-up and clean appointments. Schedule yours by contacting us today.